Displaying your merchandise correctly is essential for higher sales and a successful retail business. One of the most fundamental elements of any retail store is the visual display. Here are a few tips for creating the right look for your store that encourages customers to look and buy. Well co-ordinated colours always work well and help draw attention to your merchandise. Contrasting colours such as black and white monochrome catch the customer’s eye so they are more likely to browse through them. Multi-colours also work well, such as a line of different shades that blend seamlessly from darker to lighter colours. Pay attention to where you position your colour displays. Try and keep them at a level where customers can clearly see them. Not too high, so they might miss them and not too low so they have to stoop. Clever displays expose the maximum amount of merchandise without looking sloppy or messy. 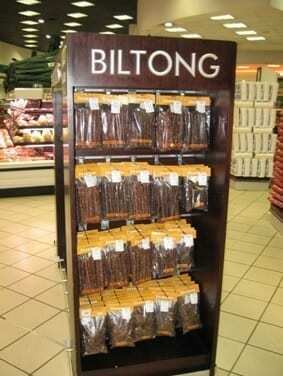 Place displays in the aisle centres so they break up the path and customers are encouraged to stop and look. However, ensure that your aisles are spacious and that displays don’t create barriers. The space between your floor displays and the ceiling can be utilised by mounting wooden display showcases with glass shelves on your walls. 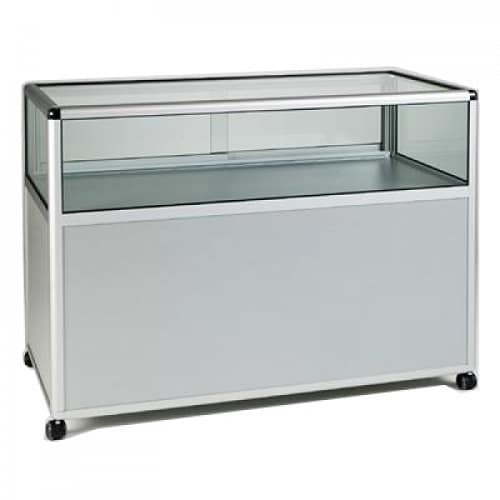 The mix of wood and glass allow maximum visibility of your merchandise while giving your store a more elegant look. Lighting can be added to highlight and enhance your showcased items. Angled display corner units are good way to maximise floor space. They also be used as modular units with stand-alone cabinets to create an L shaped counter that can be utilised as a ‘pay here’ till station while also displaying items. What kind of merchandise are you selling? Clothes? Jewellery? Valuable items? 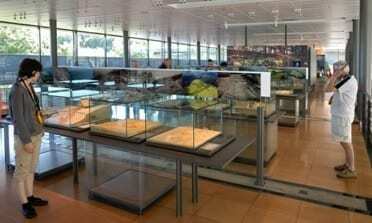 Will you need open shelving where customers can touch the merchandise or lockable display cabinets? Display cabinets with drawers for extra storage. The overall look you want to achieve: contemporary, minimalist, rustic or traditional. 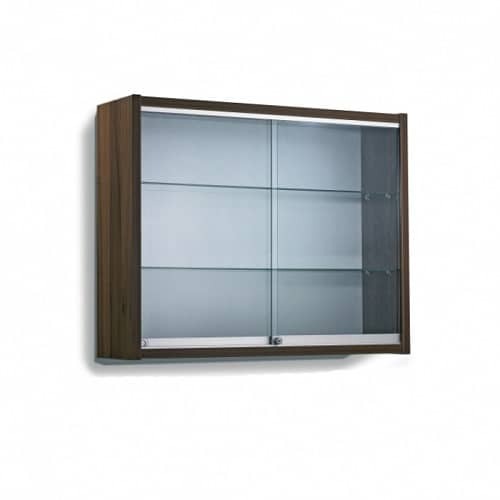 Wooden display cabinets are available in various finishes such as ash, beech, maple, oak and walnut. 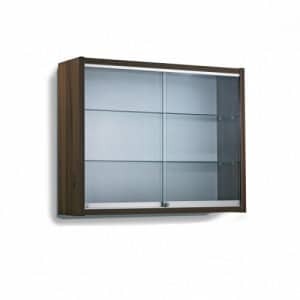 Valentino’s Displays offers a range of beautiful, durable and high quality wooden display cabinets and showcases to enhance the look of your merchandise and give your store a touch of elegance. For more information, contact us today or visit us online.